Third question, less trivial than philosophical: In Classical Latin, the word trivialis often meant “appropriate to the corner, or commonplace,” which gave rise to today’s definition of trivial. Why is this definition inadequate? The answer is one at which we arrive. – Surnames of the National League hits leaders in 1941 and 1942: Hack and Slaughter. First names of the NL and AL hits leaders in 1903: Patsy and Ginger. – Cesar Tovar broke up five no-hitters. – Braves pitcher Maximino Leon maximized his career, you might say. Across six seasons he appeared in 162 games, or one full season’s worth. – Dock Ellis played for seven managers in 1977. – Among the 50 big leaguers to finish a season with an ERA of infinity are 1942 MVP Mort Cooper, All-Star Cal McLish, 124-game winner Doc Medich, Daffy Dean and future evangelist Billy Sunday, who would spend eternity with an ERA of infinity. – On Aug. 24, 1983, Orioles reliever Tippy Martinez picked off three runners in one inning. The fact of the matter – the thing that is indisputably the case, the thing that corresponds to experience, the thing that absolutely is – is this: Everything we call a fact is the lone survivor among its many counterfactuals. It is what separated from the things that might have occurred to become the thing that did occur. It is. Owing to one man’s practice, one moment’s chance or a merger of the two, it entered a sliding door and came out a recordable truth. In baseball, as in the traffic outside its stadiums, facts emerge from a complex of contingencies. Someone hooks a left, accelerates and then stops quickly, and what do we have? We have a stand-up double or a Chrysler at a red light. What we don’t have, and in this case will never have, is a runner erased or a motorist T-boned. As participants in a conditional network where nothing occurs in isolation, the runner and the driver have each benefited from circumstances that failed to produce a collision. For the time being, and, in a sense, for eternity, both are safe. What this means for baseball is that from this system of constantly shifting relations, wherein the angle of a baseball and the size of a pebble can combine to shape the futures of players and franchises alike, a rare few events will separate themselves from the box-score fodder like constellations from the formless astral backdrop. And just as the Greeks found pattern and power in Sagittarius, baseball fans can find meaning and value, if they so choose, in Tippy Martinez’s trio of 10th-inning pickoffs. That it could have happened differently is undeniable – a tag’s path and a hand’s pace were of the moment before they made history – but that it happened is indisputable. The victims have long since dusted themselves off, yet they still emit a brightness that transects the voids of our space. Fact: Even if we can’t recall the events, they all matter. Some are more conspicuous than others, but they all shape what is moving past. – On April 19, 1944, Detroit’s Chuck Hostetler became the oldest rookie to register a hit when, pinch-hitting for catcher Bob Swift, he singled off Browns starter Steve Sundra. Though he reported his age as 38, he was 40. – It is well known that Joe Nuxhall, at 15, was the youngest player to appear in a big league game, when he pitched two thirds of an inning in Cincinnati’s 18-0 loss to St. Louis on June 10, 1944. The second-youngest? Carl Scheib, who, at 16, closed the Athletics’ 11-4 loss to the Yankees on Sept. 6, 1943. – Youngest to homer: Tommy Brown, 17. Oldest: Julio Franco, 49. 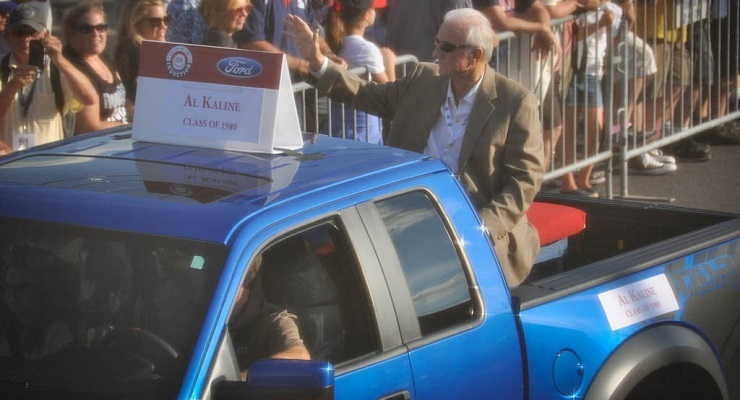 – Youngest to win a batting title: Al Kaline, 20. Oldest: Ted Williams, 40. As kids, we know one thing about big leaguers: They’re old. It doesn’t matter if they’re 20 or 40. They’re old. They’re like teachers that way: old. As we grow older ourselves, we inevitably confront a mildly depressing milestone: the moment we first encounter, whether in person or on TV, a player who is our age. At 19 or 20 or 21, we watch that prodigy fire lasers to first or launch rockets to left and we question the merits of our own existence. What am I doing with my life? I should be playing shortstop for the Yankees, not taking night courses at the local JC and working the day shift at Wienerschnitzel! In search of confirmation, we turn to the game program. Aw, man, it’s true! He was born three days after me! And having received this info in the style of he who hears bad news, we consider anew our decision to have skipped the baseball academy in favor of camp at Lake Destiny. As we continue to grow older, we reconcile the prodigy’s place in relation to ours as a product of the same freak-of-nature stuff that gives rise to eight-year-old Carnegie Hall pianists who in their spare time explore the Riemann hypothesis and solve the Rubik’s Cube while blindfolded and with their feet. The years go by, then, and soon the one-time prodigy is just one of dozens if not hundreds of players whose birthday candles are fewer, perhaps far fewer, than our own. No longer do we find counsel and comfort in our default explanation, that some singular genetic anomaly created the space between our entry-level position and their third-base position. 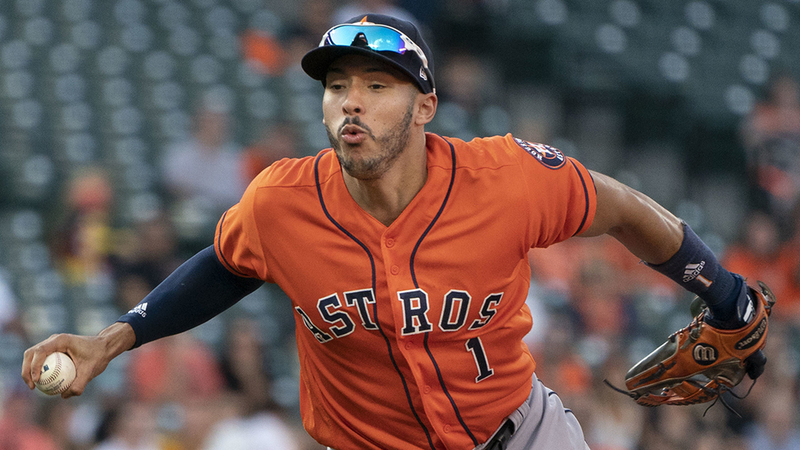 Suddenly, in an insight that waited years to gather its blistering steam, we again know one thing about big league ballplayers: They’re young, and getting younger. Like the players we watch, we fans have our own aging curve. With time, we understand that certain players stand out on either end of the spectrum. From Joe Nuxhall to Satchel Paige, they escape the expectations of their age group by playing like an older or younger man. And they defy all expectations, or try to, by playing like the man – a man, at once idealized and real, at the consummate median age. He is always emulated, this man, an abstraction with real muscle and output who goes by many names. His shadow is the one through which each old vet will pass. Looking forward or backward, we fans – we adult fans – will always see this player. And we will know one thing: He won’t last. But at the same time, he is undying. – In 1936, St. Louis Browns right-hander Sig Jakucki posted an 8.71 ERA and a 0-3 record. Dispatched to the minors in 1937, he retired from baseball in 1938. Six years later, in 1944, the pitching-starved Browns found Jakucki in a Houston industrial league. He returned to the club and went 13-9 with a 3.55 ERA in 1944 and 12-10 with a 3.51 ERA in 1945. Jakucki wasn’t the only Brown whose baseball fortunes the war effort aided. The entire Browns infield – including slugging shortstop Vern Stephens, who, owing to a knee injury, had twice flunked his Army physical – had been declared 4F, or, unfit for military service. The team also included one-armed outfielder Pete Gray. – When Washington Senators lefty Bert Shepard took the mound on Aug. 4, 1945, against the Red Sox, he became the first (and only) leg amputee to play in a big league game. A former Army Air Force pilot who’d had his leg amputated below the knee after being shot down over Germany in 1944, Shepard would allow one run on three hits in his 5.1 innings of relief. He would never appear in another big league game. Two days later, pinch-hitting for Sig Jakucki, Browns outfielder Pete Gray would go hitless in his lone at-bat against the Indians. Later that season, Browns manager Luke Sewell would kick Jakucki off the team after Jakucki, who liked to torment Gray, engaged Gray in a fight while holding one hand behind his back. War stories form a major chapter in our cultural narrative. They explain our ability to enjoy, or at least appreciate, those same stories in the peace of our homes. All societies are born of the blood of their warriors, and all are sustained – if they are sustained – by the martial endeavors in which their luckiest citizens needn’t take part. If not the spectacle of their scripted counterparts, many war stories convey the drama of an incident that separates life from death by the slimmest of margins, the same little space that in a more peaceful region might divide a meaningful but comparatively trivial homer from its alternate-timeline pop-up. These are the stories that give meaning to our own deliverance from internecine struggle, a salvation that the first-person storytellers invested in but didn’t always get to share. These are the stories, too, that inform the pursuits we appreciate by taking them for granted: the chance to get angry, say, that the manager didn’t lift the pitcher for a pinch-hitter in the sixth. They are the stories, lastly, that prop up the abridged versions of overarching histories, which in turn explain the smaller tales about people like Sig Jakucki. All told, more than 500 major league baseball players served in the U.S. military during World War II, among them future Hall of Famers Joe DiMaggio, Ted Williams and Stan Musial. History has demonstrated with bloody good evidence that nature abhors a vacuum, and so when DiMaggio, Williams and other stars and starters traded the field of play for the field of operations, other players naturally stepped in. This is written. “Wartime baseball” is now a sort of pejorative, shorthand for the substandard baseball staged between 1942 and 1945. Like any shorthand, it is dismissive of the flesh-and-blood efforts of men on both sides of the pond, turning one group, however rightly, into destined-to-return heroes and the other into bumbling caricatures scarcely better than strikebreaking scabs. Worse, it ignores the genuine flesh-and-blood efforts of two men in particular – Elmer Gedeon and Harry O’Neill – in service to its ultimate evocation, that of latter-day knights returned from war to supplant their replacements and restore the Pastime to its previous glory. Gedeon, a 6-foot-4 center fielder who in 1939 posted 17 plate appearances for the Senators and then entered the military draft while a minor leaguer in 1941, survived a B-25 bomber crash in 1942 only to die two years later when, after dropping bombs on a Nazi construction site, his B-26 took on antiaircraft fire and burst into flames. O’Neill, a 6-foot-3 catcher who in 1939 caught the final two innings of a 16-3 Athletics loss before enlisting in the Marines, had joined his fellow soldiers in a daylong battle on Iwo Jima when an enemy bullet severed his spinal cord and killed him instantly. Gone at 27, they would leave behind more than a collective RBI. Regardless of their renown, they’d leave a place where Sig Jakucki could exit the industrial league and return to a version of the American Dream, and where the manager had the freedom to boot him for being an enemy of decency. – On Sept. 11, 1928, in his final big league game, Ty Cobb pinch-hit for Athletics third baseman Jimmie Dykes. Pinch-hitting for the Yankees? Ben Paschal (sadly, no relation). Paschal had also pinch-hit in his big league debut, on August 16, 1915. The result? With a line drive to center field, he broke up the no-hitter of Detroit’s Bernie Boland with two outs in the bottom of the eighth. Paschal also enjoyed one other notable pinch-hitting appearance: In the sixth inning of the Opening Day game of 1927, he singled for Babe Ruth, becoming the last man to pinch-hit for the Bambino. – The Bambino and All-Star slugger Dale Long shared a birthday: Feb. 6. Long and first baseman Benny Distefano shared a franchise, the Pittsburgh Pirates. Long and 10-year veteran Mike Squires shared a jersey number: 25. Squires and Ruth shared a distinction: Each pitched and played first base. What else did Long, Distefano and Squires have in common? They were the last three left-handers to catch in a big league game. Ruth never did that. Omar Vizquel, as we now know, wore No. 13 for 21 seasons. These are the numbers at the heart of the facts. But numbers tell just partial truths. And facts can distort the larger realities that frame them. Retrospect demands abbreviation of this convenient kind: Take two decades of sweat and pain and reduce them to trivial digits. It must be done. With regard to keeping up, the present is hard enough. It moves fast, and squirms. Just as the future must choose a path from possibilities, the past must have its digest. And it is true, after all, that Vizquel wore No. 13 and that he did so for 21 seasons. But it is also true that he wore 42, 11 and 17, and played for 24 seasons. In posting a career that spanned a quarter century, Vizquel epitomized a key link in the unbroken (if not exactly familial) lineage of big league players, ranging from Harry Wright in 1871 to every call-up in spring 2015. His stint overlapped Mike Schmidt’s final season and Bryce Harper’s first, bridging a generational divide that saw a radical difference in hairstyles but a striking similarity in the bearing of the superstar. As for Schmidt, his career would begin in 1972, which served, tragically, as Roberto Clemente’s last season. And Clemente? His career would begin in 1955, the year Bruce Bochy and Ned Yost were born and Cy Young and Honus Wagner died. Though born of kindred spirit and not of kindred blood, the line of descent, then as now, mirrors its biological counterpart by linking in long overlaps and quick pairings its common ancestor with all his successors in all their uniforms, from friend to foe and back again, arm-in-arm to the final out. The game comes down to numbers, it’s true, but those same numbers can hide the connections that make baseball, even at the big league level, an endeavor more meaningful than the results it yields in the end. Connections matter. Relationships are vital, and you wonder how many Vizquel enjoyed. Would that FanGraphs and Baseball-Reference, in this age of advanced statistics, create categories for friendships made and bonds forged. In other instances the connections seem trivial in retrospect – a shared pinch-hitting role, a shared number. This is the stuff of the pub quiz, old actions distilled into answers worth a pint of Guinness Stout. But we know by now that facts are only fractional truths. The truth in its entirety rests in what cannot be quantified, either in number or in fact. A Vizquel laugh, a Paschal pat on the back – we can’t hear or see them, but they were there. – On Oct. 1, 1877, Ed Somerville became the first former big leaguer to die. – First game-related death: Doc Powers, four days after crashing into a wall, in 1909. – Among those who played in just one big league game was Bun Troy, a Tigers pitcher in 1912. He is one of four big leaguers to have died in France – one in World War II, the others in World War I. Those three — Troy, Alex Burr and Eddie Grant — died within five days of each other, in 1918. – New Cathedral Cemetery in Baltimore is the burial ground of four Hall of Famers: Wilbert Robinson, Ned Hanlon, Joe Kelley and John McGraw, while Mount Moriah & Freeman Cemetery in Kansas City is the resting place for three: Kid Nichols, Hilton Smith and Kansas City Monarchs founder J.L. Wilkinson. Also interred in Kansas City, at Forest Hill & Calvary Cemetery, are Hall of Famers Zack Wheat and Satchel Paige, a pitching mate of Smith’s on the Monarchs. In the summer of 1909, when Paige turned three years old, Wheat played for the Class A Mobile Sea Gulls in Paige’s hometown of Mobile, Ala. Today, the location of the old Monroe Park, former home of the Sea Gulls, stands four miles from Satchel Paige Drive. Big leaguers are blessed with DNA that generates exit velocities of 112 mph and spin rates of 2,700 rpm, but in that same DNA are the codes that make them human. In it are the instructions, if the hosts are so fortunate to survive their defects, for death, even if it doesn’t come with a preset date. Their bodies, indeed, are charmed into baseball awesomeness, given strength and speed at the behest of homer-happy adenine and steal-of-home cytosine, but like the rest of us mortals – and I do mean mortals – they have to heed the Reaper and accede to his grim task. Later, if not sooner, each will leave behind his lifetime stats and leave them behind for good, less as a token of recent performance and more a reminder of that very lifetime. In the time prior to eternity, each player will generate the actions that turn DNA into the co-author of every fact, every reminder, every souvenir that the baseball treasury might hold. Regardless of his origins, his name, his draft position and even his eventual numbers, he will engage the small occasions – full count, outside fastball – that build into significance and outlast the player who birthed them, just as that same DNA might move beyond the death of its host to remain in the space of the living. The players come and go, but the game remains. That is life. And life, with its gifts for both opportunity and unfairness, will always provide some players the space for 3,000 hits and others the time for one cup of coffee. Death, likewise, will arrive with its variety pack, stealing in his prime a man like the Iron Horse but waiting with patience for a guy like Moonlight Graham to finish his life’s work. One gets zero at-bats and 87 years, the other 8,0001 at-bats and 37 years. Which, in the end, is preferred? The answer isn’t trivial, but it will always go to the grave. Before our own numbers are called, before our own names are forgotten, before our ends give balance to our births, we live with the information – both genetic and trivial – that the players themselves provide. They don’t last. But at the same time, they are undying. Enjoying these very much, but hack and slaughter were NL, not AL hit leaders. Yep, roger that. Let’s just call it a typo, shall we? There is a street in the Bronx named after Eddie Grant–Edward L. Grant Highway. Al Benton is the only pitcher to face Babe Ruth and Mickey Mantle. Ah well, maybe another time. I first used the name many years ago in a fantasy league. One of the other teams in the league was the Cleveland Spiders (From Mars).